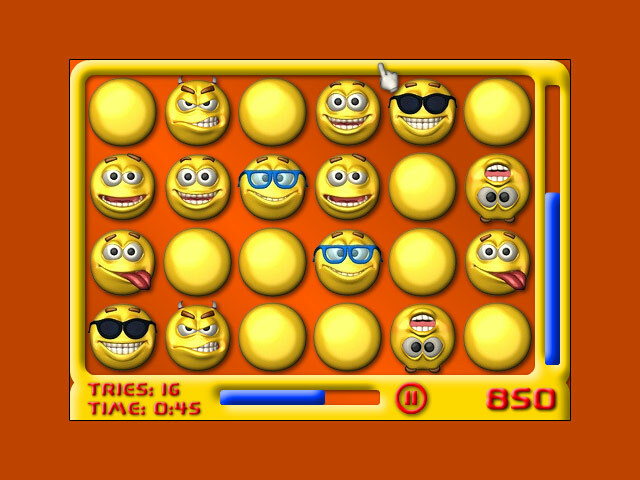 Challenge your memory by matching pairs of smiley (and not so smiley) faces in this entrancing, fast-paced puzzle game!Match pairs of wacky faces!Challenge your memory by matching pairs of smiley (and not so smiley) faces in this entrancing, fast-paced puzzle game! Think your way through 4 difficulty levels and 25 stages! 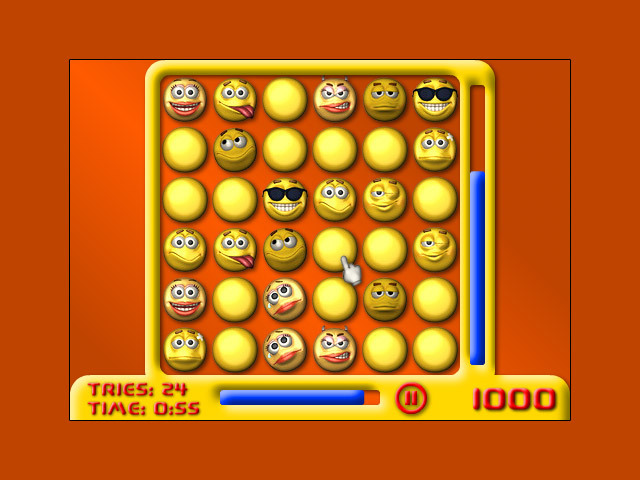 Match the pairs quickly for the highest score, but don't make too many mistakes, or the mischievous faces will shuffle themselves!